Any healthcare organization dealing with the country’s opioid crisis, understands the gravity of the situation. According to the National Institute on Drug Abuse, 115 people in the U.S. die from opioid overdose a day. Those casualties are impacting the country in many ways. There’s the cost, which is rising every day. ERs are inundated with overdoses. Physicians must balance the need to manage a patient’s pain, usually post-op, with the risks of dependency. When either of these types of patients leaves the hospital, how can that clinician continue the conversation in real-time to ensure that addiction or relapse don’t occur? One tool is as simple as your smartphone. Secure texting with patients is a channel ready to make a difference. The opioid crisis didn’t happen overnight. It started in the 1990s when pharmaceutical companies assured physicians that opiates weren’t addictive. Healthcare providers, in turn, began to prescribe them at higher rates. This resulted in an acceleration of abusing the medications, turning millions into addicts. It’s estimated that in 2015, there were over two million people in the U.S. addicted to opioids. Now, the country faces a public health crisis. Those clinicians in the midst of this need better solutions. Some of which has come in the form of medications that reduce withdrawal symptoms to better education on this epidemic. As physicians seek to both ensure patients don’t become addicts or don’t relapse, a better way to communicate is needed and could be accomplished via secure messaging. When a patient is in pain after an operation, isn’t there a need for opioids? There’s no definitive answer on this, but many physicians are looking at alternatives. There are non-opioid medicines that help with pain. There are also other homeopathic treatments. In some cases though, there really may be no good substitute. Patients are sent home with a prescription, and any doctor now has to worry that the medication could be abused. But can keeping in direct contact prevent this from occurring? It’s certainly possible. When there is an easy channel to check in with patients during their recovery, doctors can inquire about the amount of medication taken and remaining. They can also be firm in their position to not offer a refill, unless there are further complications. With secure texting with patients, providers may also ask about their pain level and then dispense recommendations for how much medication they should be taking. When the patient returns for their follow-up appointment, the care team already has information about pain levels and medication intake. This helpful data allows the physician to make the decision on whether or not the individual needs to continue on the drugs. Secure texting with patients is a relatively easy tool to offer clinicians. No additional hardware is needed, as providers can use their personal phones. They’ll just need a secure messaging app. Secure apps don’t store text or imagery on the user’s phone. For this reason, they have the architecture to pass the HIPAA compliance test. Healthcare has always embraced technology and innovation. And with a modern world comes a new, preferred way to communicate. For those overdose cases that make it to the hospital and given Narcan, they then get released back into a world of addiction. Physicians do have one option to help patients recover. 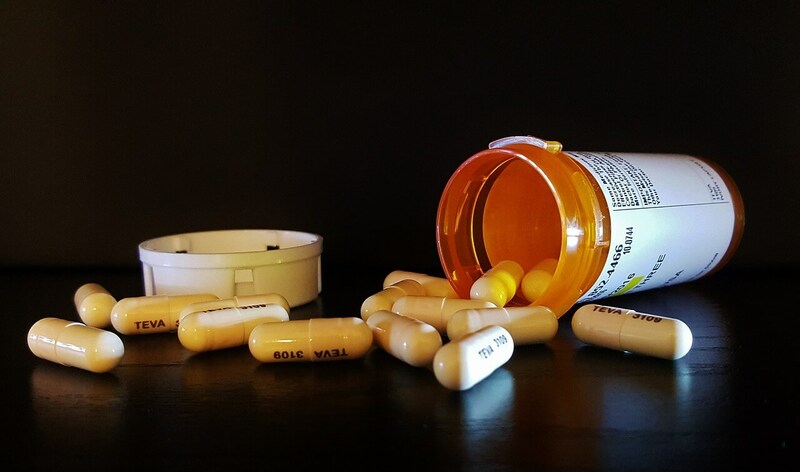 More are now prescribing Suboxone. With the prescription Suboxone, the symptoms of withdrawal are eased, but this requires close monitoring, so sending a text is an ideal way to communicate. It allows clinicians to be in constant contact, ensuring they are taking the Suboxone and otherwise staying off opiates. The first three days matter the most, so doctors can open that line of communication, and patients feel they have someone to contact if withdrawal symptoms become worse. Something as simple as secure messaging app has the power make a difference. It’s an easy, reliable tool in this ongoing battle to help addicts get off these powerful drugs. Communicating on a secure messaging apps is also a channel for providers to add others to the conversation. The lead physician may need to add pharmacy consults, co-surgeons, physician assistants, and other parties. The app is inclusive of the entire care team as a means to discuss shared patients. Patient-centered care is enabled through a better way to communicate, offering visibility to all parties and empowering these team members in their pursuit to address opioids. When making the decision to use secure texting with opioid patients, there are several considerations. First and foremost is HIPAA-compliance. Any information, privileged or protected health information (PHI), must be transmitted via an app that doesn’t store the conversation on the users phone. Where does the conversation go? It needs to be behind your firewall so you have control of it. The solution should also have dual key encryption. Ideally, you also want a platform that offers cloud pass-through architecture. This means your provider is never storing PHI on their servers. With these requirements in place, you’ll actually exceed the requirements of HIPAA. You should also look for a system that allows you to upload to the patient’s electronic medical record (EMR). Conversations about the patient’s recovery may be valuable down the line so having the ability to upload to the EMR is helpful. Not every secure texting app is the same, so it’s best to do your research. The opioid crisis is still going full steam through the country. Arming those on the front lines of this problem with better tools is one easy way to make a difference. At QliqSOFT, we want to be part of your solution. Through our secure messaging app Qliq, you’ll be able to communicate with patient. If we can help you establish this solution, we’re glad to schedule a demo with you, or you may download the Qliq app for free today.